Services provided: Remediation works to Compressor Station undertaken in a shutdown environment, inclusive of cabling and associated primary & secondary supports, installation of Junction Boxes, site lighting & Instrumentation, tubing & calibration of Instruments, terminations to field & control room, provision of all QA documentation and commissioning. Services provided: Installation of a new 600kW compressor to a sound-proof enclosure with Transfer Blocks for cabling, multiple 3 phase connections to the SAPNA grid, Control Room connection, Instrumentation & tubing, cabling, primary & secondary supports with associated workshop & site lighting. Upgrade of existing Compressor, Instrumentation & tubing, provision of all Quality and Hazardous Area documentation. Services provided: Barrokla Over-pressure, Psyche, Kanawona, Cuisinier, Munro, Tenneperra, Stimpie & Hobbes Wellheads. Installation of all Electrical Equipment, Instrumentation and tubework inclusive of Control Panels, Genset and skid cabling & tubing, primary & secondary supports and Instrument calibration. Provision of all Quality and Hazardous Area documentation and commissioning assistance in conjunction with Santos. Services provided: Supply of Instrument Technicians for commissioning of QCLNG Gas Trains at the Curtis Island Production Facility. 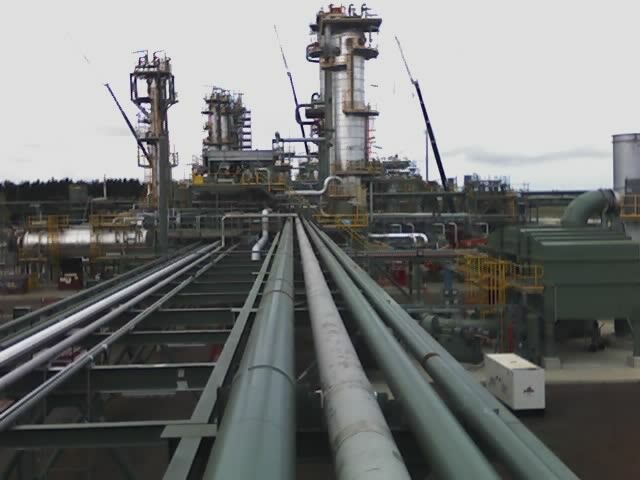 Services provided: Electrical and Instrumentation installed to support a facility of three Oil separator tanks and three Oil production tanks with an associated Load-out Bay. Installation included all cabling, primary & secondary supports, installation of field Junction Boxes, site lighting & Solar Panels, Genset & Control Room connections, field Instrumentation & associated tubing, provision of all Quality and Hazardous Area documentation. Services provided: Electrical and Instrumentation installation of two wellheads, inclusive of cabling, primary & secondary supports, Solar Panels and Control Panel skid. Construction of the Dingo Processing Facility at Brewer Estate, including Control Room connections, processing skid connections, field installations of Junction Boxes, Genset & Instrumentation, site lighting, all cabling and primary & secondary supports, provision of all Quality and Hazardous Area documentation. Services provided: Construction of an Oil Tank Farm facility, inclusive of all cabling, primary & secondary supports, site lighting, Junction Boxes, Instrumentation & tubing, skid & Control Room connection, provision of all Quality and Hazardous Area documentation. Services provided: A combination of Electrical and Instrumentation new build installation and existing plant remediation at the Silver Springs facility and associated wellheads. All cabling, primary & secondary supports, installation of field Junction Boxes, Instrumentation & tubing, terminations to the Control Room & field, provision of all Quality and Hazardous Area documentation. Services provided: Supply of Hazardous Area Electricians for the Electrical and Instrumentation installation of wellhead skids for use by Santos in the Cooper Basin. Provision of all Quality and Hazardous Area documentation. Services provided: Primary electrical contractor to the MCJV joint venture QCLNG, projects included the Receipt Station at Miles, a total of seven Main Line Valves and the Delivery Station on Curtis island. 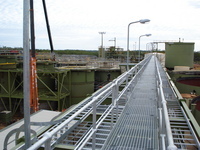 Installations include all Electrical and Instrumentation components, such as cabling, primary & secondary supports, Instrumentation & tubing, Junctions Boxes, site lighting, terminations to Control Rooms, Control Panels, skids, Gensets and all equipment, provision of all Quality and Hazardous Area documentation. 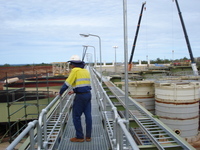 Services provided: Installation of Electrical and Instrumentation as part of the Christies Beach Waste Water Treatment Plant upgrade, inclusive of all cabling, primary & secondary supports, Instrumentation & tubing, Control Panels, Junction Boxes, site lighting, connections to Control Rooms and field terminations, provision of all Quality and Hazardous Area documentation and commissioning assistance. Services provided: Remediation works to fire damaged plant, inclusive of demolition and re-instating of Electrical and Instrumentation systems, cabling, primary & secondary supports, Junction Boxes, Control Panels and connections at the Control Room and field, provision of all Quality and Hazardous Area documentation. Services provided: IIS provided the Instrument, Electrical resources and materials for the essential drives project at the Pt Augusta Power Station, the work was carried out during normal daily operations. Services provided: IIS provided the Instrument and Electrical resources and Supervision for Project Magnet at the Onesteel, Steel works at Whyalla in South Australia. Services provided:. IIS provided the on site construction for the installation of the on shore Main Line Valve (MLV) and termination of the Offshore Umbilical cable and tubing. IIS provided the connection of all mains power, shutdown and control facilities for the MLV and hydraulic tubing for the offshore valves. All site earthing, lighting and communication cabling, instrument tubing, hazardous area documentation. 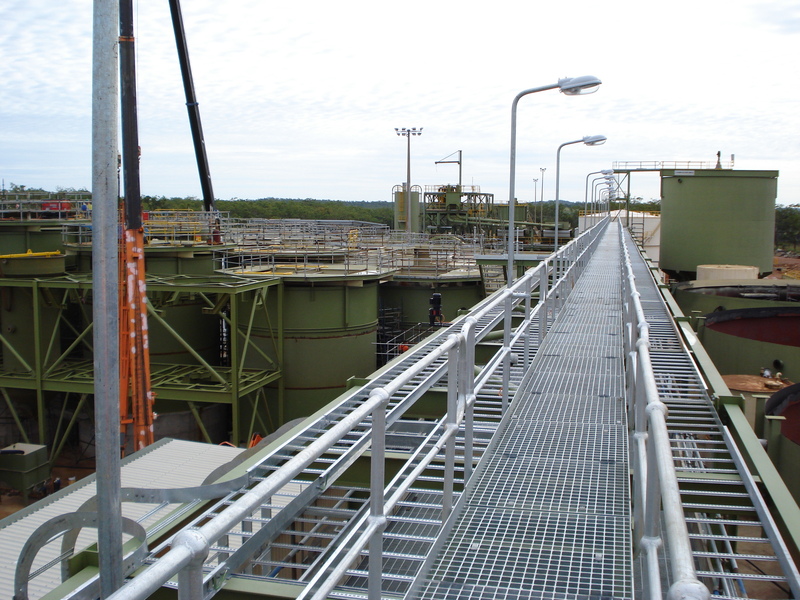 Services provided: Working as a Sub contractor to Ottoway Engineering, IIS provided the supply and installation of the Instrument and Electrical works for this project. 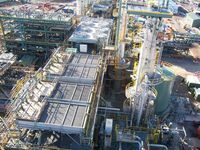 This included the off site construction of skid instrumentation and control hut facilities, instrument tubing, hazardous area documentation and the installation of these facilities on site at Port Campbell. Commissioning assistance on completion. Services provided: Providing resources to Delco, IIS provided the Instrument and Electrical resources and Supervision for the new compressor station I/E works. This involved skid instrumentation, compressor instrumentation, Control hut installation and cabling, site earthing and lighting, instrumentation installations, hazardous area documentation etc. 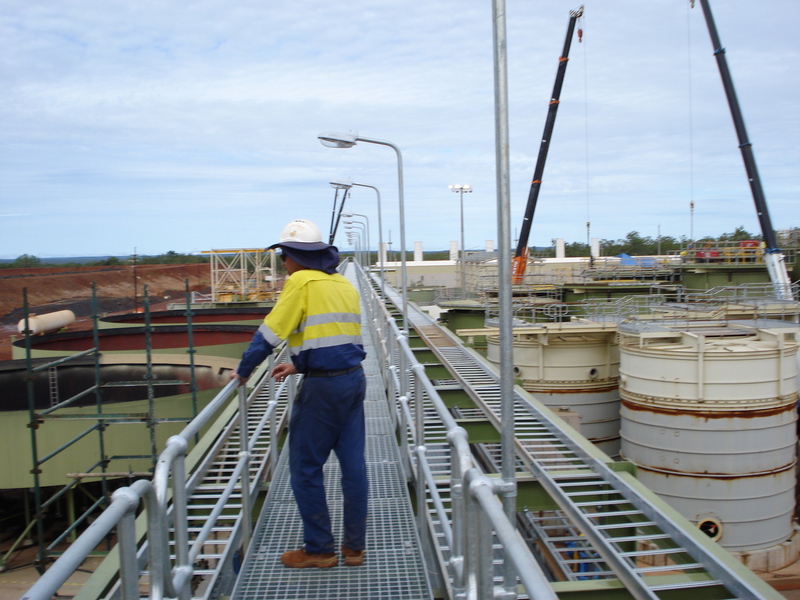 Services provided: IIS provided the Instrument and Electrical resources and Supervision for the Brown Gold processing plant I/E works installation. This involved field cabling and supports, Control room cabling, site earthing and lighting, instrument tubing, hazardous area documentation etc. Services provided: Providing resources to Shedden Uhde, IIS provided the Instrument and Electrical resources and Supervision for the expansion project. This involved field instrumentation, site lighting, tanker load out facilities, substation upgrade and motor cabling, tower instrumentation and electrical facilities, instrument tubing, hazardous area documentation etc. Services provided: Provide the Electrical resource to install the lighting on a new onshore gas production facility, including project management and supervision of up to 40 site electricians, including hazardous area compliance and documentation. Provision of commissioning support personnel for startup. 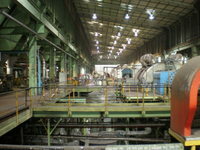 Services provided: The ACE Project was the replacement of the Moomba main process plant distributed computer control system. This involves significant upgrades to field substations, replacement of distributed control devices and the replacement of field instrumentation and field electrical and control cabling. Involved significant cutover and commissioning activities.